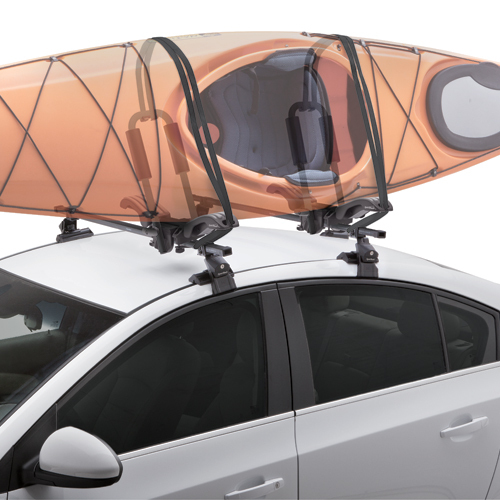 SportRack Mooring sr5511 J-Style Kayak Carrier for Car Roof Racks is designed to safely transport kayaks of all shapes and sizes. 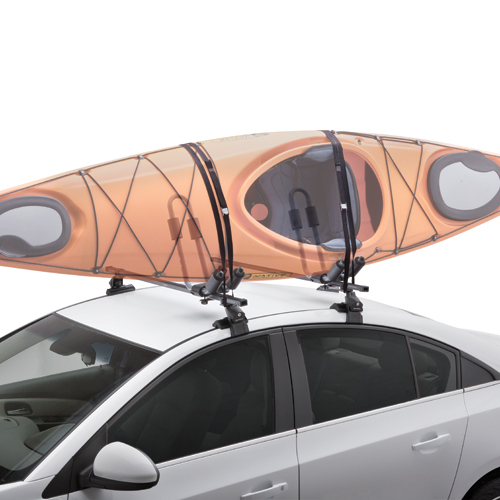 The SportRack Mooring's unique J shape allows for easy loading, unloading and transporting your kayaks - while leaving more room for additional kayaks, carriers and gear. 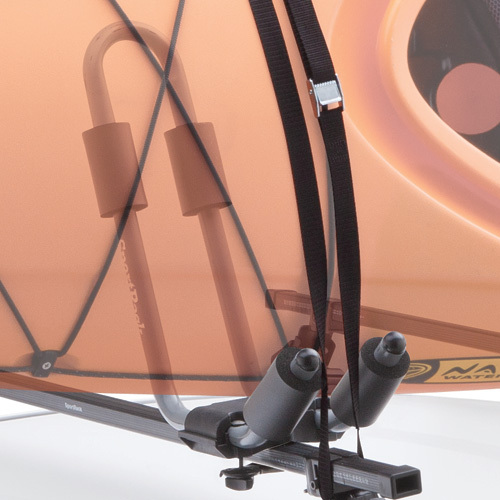 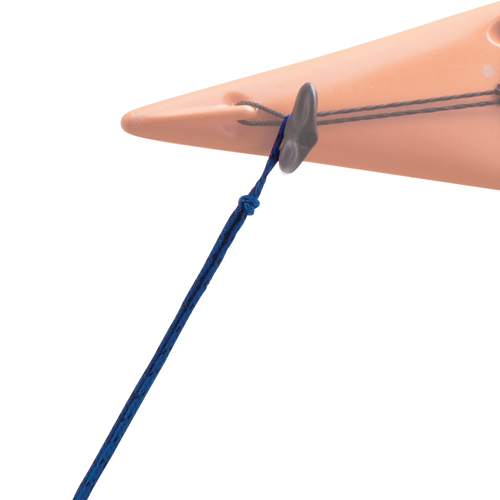 The SportRack Mooring cradles are generously padded to gently, but firmly, hold your kayak. 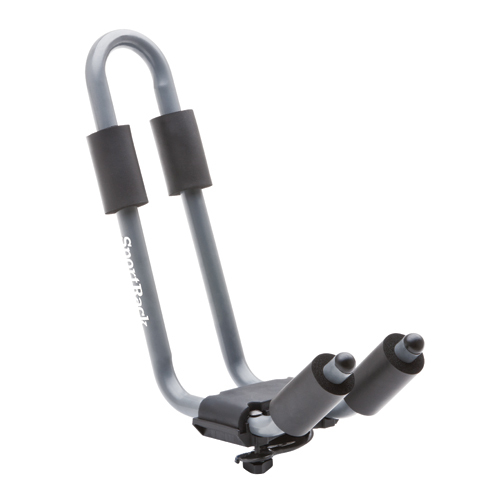 The SportRack Mooring includes universal mounting hardware designed to fit most name brand and factory installed crossbars. 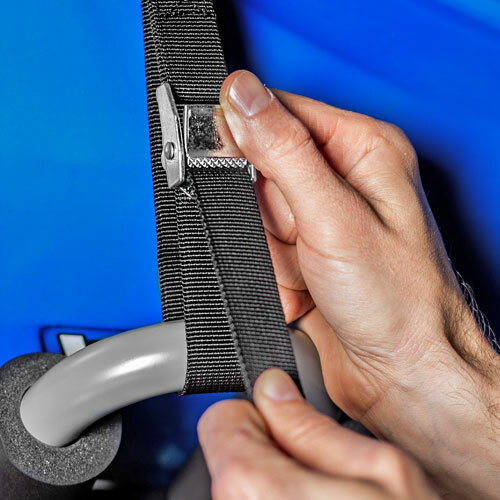 Bow Stern Tie Down Straps and Cam Buckle Load Straps are included to secure your kayak to your rack and the bumpers of your vehicle. 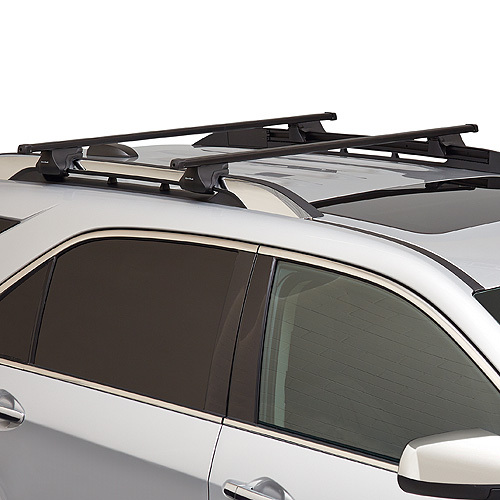 Because the SportRack Mooring sr5511 does not fold down, be sure to check for garage or low overhead clearance issues. 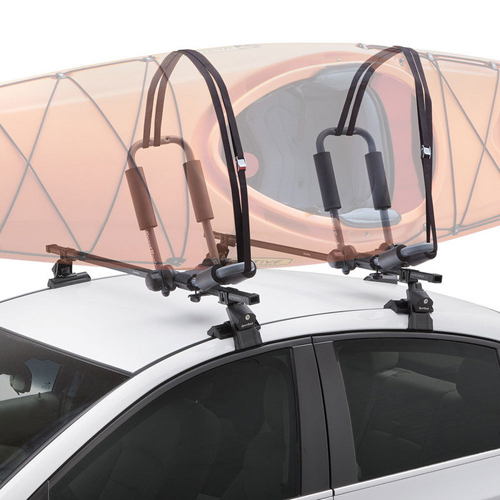 SportRack's Mooring Deluxe sr5513 is a convenient fold-down option.